Let Us Tie Down Loose Ends is from Outterbridge's Containment Series. 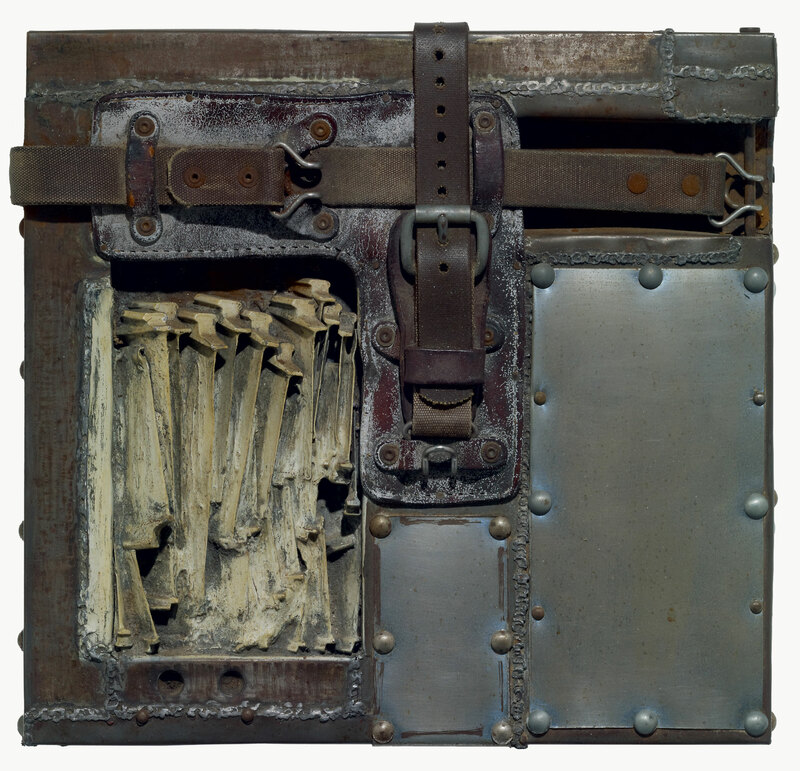 The low-relief assemblage sculpture includes leather straps, aluminum panels, bolts, nails, and various other found materials, all obtained from a scrapyard in Pasadena. During Outterbridge's childhood, his father worked as a hauler, and this influenced his use of detritus and scrap materials in his artwork. "Let Us Tie Down Loose Ends, from the Containment Series." Now Dig This! Art in Black Los Angeles, 1960–1980 Digital Archive. Los Angeles: Hammer Museum, 2016. https://hammer.ucla.edu/now-dig-this/art/let-us-tie-down-loose-ends-from-the-containment-series.